In 1919 the business was started by Oswald Lister at Clint and Hampsthwaite, near Harrogate. Michael Lister joined his father in partnership in 1949 forming Oswald Lister & Son and continued the well-known business of Yorkshire agricultural auctioneers and valuers, together with their own farming operations. John Haigh joined Michael Lister in September 1990 after thirteen years in the Valuation Office and Catherine Johnston joined the firm in 1993, from the Royal Agricultural College, Cirencester. 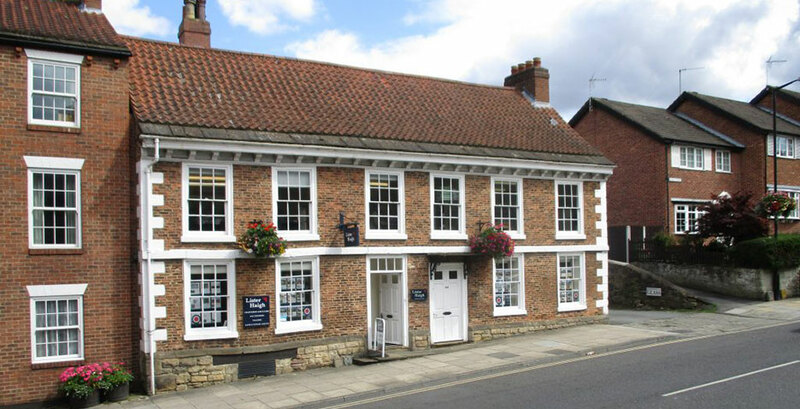 In 1994 the business was moved to its current office at 106 High Street, Knaresborough and continued to provide an even wider range of services. In 1996 John Haigh took over the running of the firm, expanding the estate agency, planning, compensation and agricultural advice departments. In 1999 the survey and valuation business (John Hope Chartered Surveyors) at Rydal House in central Harrogate was acquired. This gave the opportunity to expand the estate agency department into Harrogate. The survey department carry out increasing numbers of building surveys and valuations of residential and business properties and this work is now carried out from our Knaresborough Office. In 2002 the Boroughbridge Office, (Incorporating James Johnston) was added. This offers an extended range of services and an increasingly busy estate agency department, along with a very successful residential lettings and property management department.